A white painted wall. Mounted on it, two identical clocks positioned side by side. They are ordinary, ‘every-day’ clocks that could be purchased anywhere. There is nothing ‘pretty’ or special about them, they are just functional. The clocks keep exactly the same time and as we watch, we see time ticking away in front of us. Perhaps, we are watching our lives passing us by, our time here slowly running away and there is nothing that can be done to stop it. But, there are two clocks and they are positioned closely together, so perhaps this coupling represents a real connection, signifying a relationship between them both. This can all be surmised by just looking at the piece but then we notice the title, “Untitled” (Perfect Lovers). The clocks then, represent two lovers. Now, the ticking of the clocks feels like the beating of two hearts. Each clock is a very separate entity, but although they are two very separate beings they are completely in ‘sync’ with each other. They are connected so thoroughly that their hearts beat together as if they were just one being, they are in love. 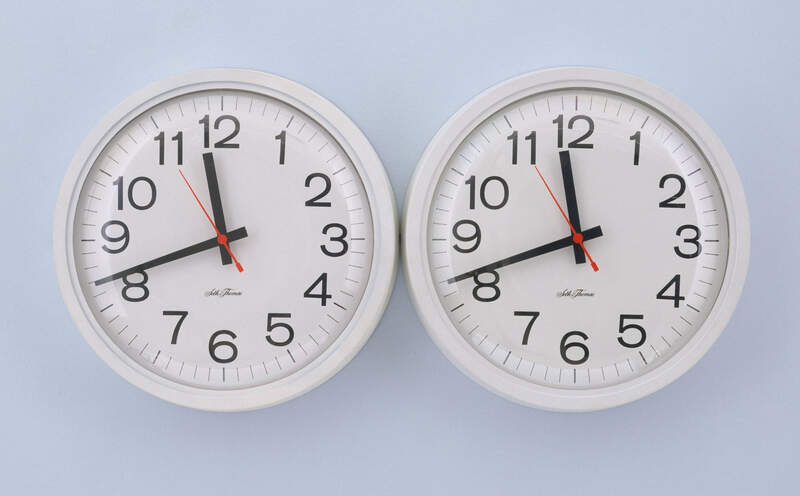 The two clocks are placed as closely together as possible whilst still remaining individual objects , but also, they are too close to allow anything to come between them. The complete functionality and ordinariness of the clocks now begins to appear differently. Love between two people, whether it be a partner, a parent and child or between two friends is available to everybody. Love is special, a gift, but you don’t have to be out of the ordinary or ‘special’ to receive or experience love. Love creates bonds between people that can’t easily be broken. Of course, as we look at the two clocks we must face the knowledge that it is unlikely the clocks will both stop at the same time. One day, one of them will stop completely, leaving the other to go on ticking alone. Félix González-Torres created this piece after the death of his partner from AIDS in 1991. He wanted to create work that both allowed him to share this very personal experience but keep it from being vilified because of his homosexuality. With this piece González-Torres shows us a beautiful tribute to the concept of love. He has removed all the unkindness and judgement of human nature, stripping away the pettiness of life, that we are all guilty of, and showing us instead the essence of love in its absolute purity.